Welcome to the stage of the truth. Maybe we won’t found today who will win this Giro but surely we will know who will be excluded from the struggle for success. Until today it seems to be a fight between three riders: Quintana, the one who started this Giro as favorite for the final victory, Dumoulin, the one who is so strong that he didn’t even expect to be, and the last one, the champion, Vincenzo Nibali, the one who in the third week of 2016 Giro managed to bring home the success when it seemed to be already lost. 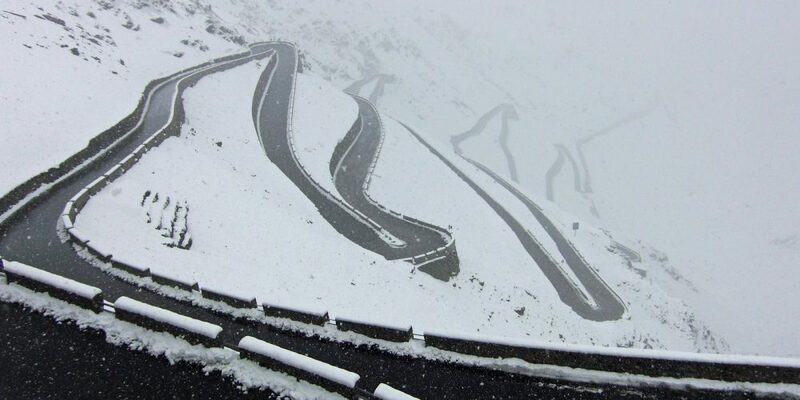 The Giro today will climb the Cima Coppi then descent to Merano, go to Val Venosta and then back to climb the Umbrail Pass, the Swiss side of Stelvio. An unpublished ones and up to a few months ago a dirt street, that today you can see with our Google Street View. The riders will be headaches with all these hairpin and even leg pain is guaranteed.